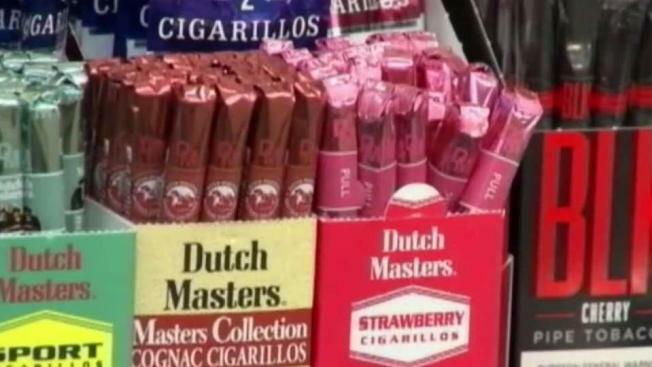 San Francisco residents will be asked to vote on a recently approved ban on flavored tobacco after the Board of Supervisors voted Wednesday to reject a bid to have it repealed. The board voted unanimously today to reaffirm its support for the ban on all flavored tobacco products after a tobacco-industry funded group submitted enough signatures in early August to put a measure seeking to repeal it on the ballot. The measure is backed by a committee called Let's Be Real San Francisco, which includes the Arab American Grocers Association, a number of vaping outlets and the National Association of Tobacco Outlets. Funded almost entirely by the R.J. Reynolds Tobacco Company, the committee was able to collect almost $700,000 in contributions and collect just under 20,000 valid signatures in barely a month after the ordinance was signed in early July. The group has argued that the issue is one of freedom of choice for adult consumers and that the measure will harm corner stores and other small retailers who sell tobacco products. Supervisor Malia Cohen, who introduced the measure, called R.J. Reynolds a "notorious killer." "A company that kills people is bankrolling a campaign they claim is about freedom of choice," she said. "Their campaign is about protecting profits." Proponents for the ban argue that flavored tobacco products are heavily marketed to youth, minorities and the LGBTQ community. Flavored tobaccos can help hook new smokers by masking the harsh flavors of tobacco, encourage deeper inhalation and are considered harder to quit, according to statements from the University of California at San Francisco. Tobacco-related cancers are the leading cause of cancer deaths in San Francisco for both men and women, and they cost the city around $380 million per year in direct healthcare costs and lost productivity, according to city officials. The ballot measure seeking to repeal the ban will now be set either for a special election at a date yet to be determined or will go on the ballot at the next regularly scheduled city election in June 2018. The ban will remain on hold until the election.